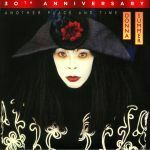 Review: Released in 1989 at a point when Donna Summer's chart-topping disco days were well behind her, "Another Place & Time" is perhaps not Donna Summer's best-known or more celebrated album. It was produced by UK hit-makers Stock, Aitken & Waterman and contains their distinctive blend of polished synth-pop melodies, Italo-disco style arpeggio bass and Hi-NRG inspired grooves. Summer's vocals are superb throughout. What makes this 35th anniversary edition most interesting is it's packed with alternate versions and bonus cuts, including a string of dancefloor-focused remixes that draw greater influence from contemporaneous house music. Of these, it's Clivilles & Cole's superb NYC piano house revision of "Love's About To Change My Heart" that stands out.